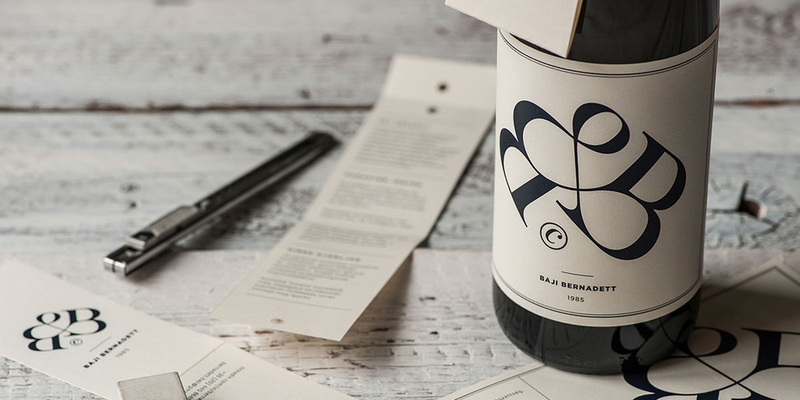 At first glance, this looks like a beautiful wine label but on closer inspection, the text turns out to be something more than producer or grape variety information, but somebodies work history and skills are listed on the label. 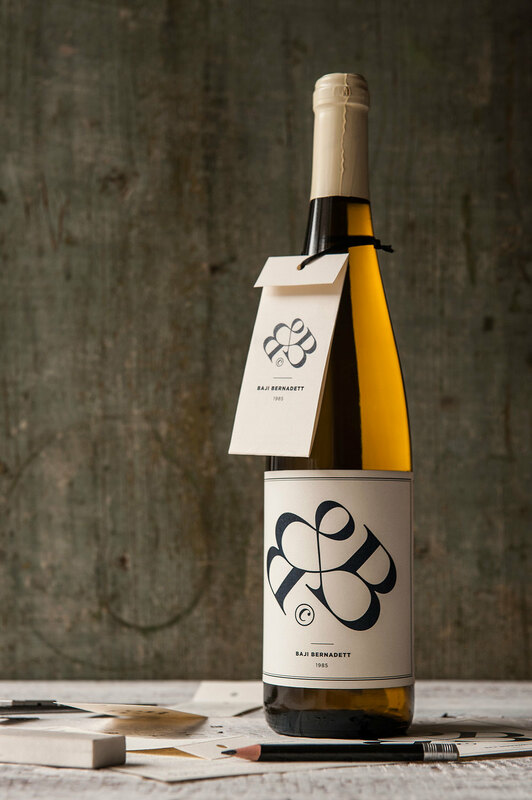 The design came to be when Bernadett Baji asked the help of her friend, hugely talented Hungarian designer Miklós Kiss to help her land a job at a wine distribution company. It definitely pays off to have a creative friend like Miklós Kiss. 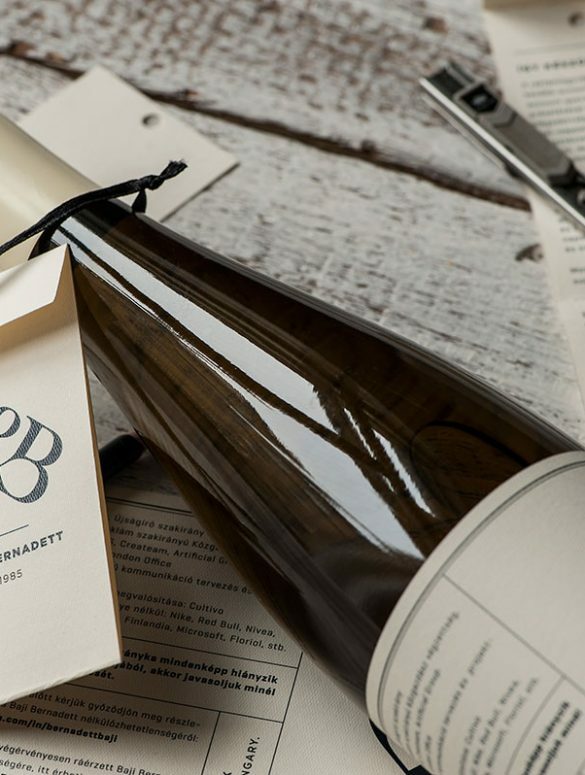 When Baji asked Kiss to help her come up with a resume for an open position at Hungarian wine distributor Bortársaság, Kiss suggested incorporating it into a memorable wine bottle instead of the typical form. 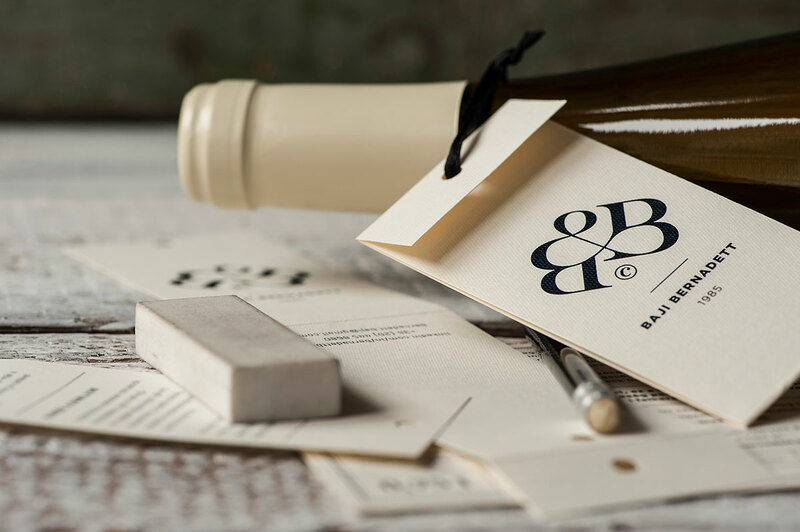 Baji’s uncommon CV consists of a “B&B” logo integrating her initials in a beautiful logotype. 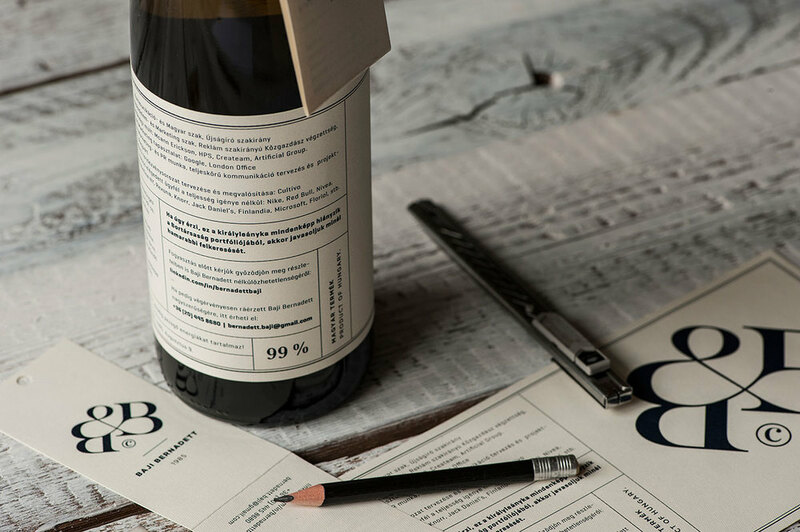 On the back label, Baji’s information is laid out in an orderly and elegant layout. There’s also a folded hang-tag strung to the neck of the bottle which offers more specific information about Baji’s qualifications. 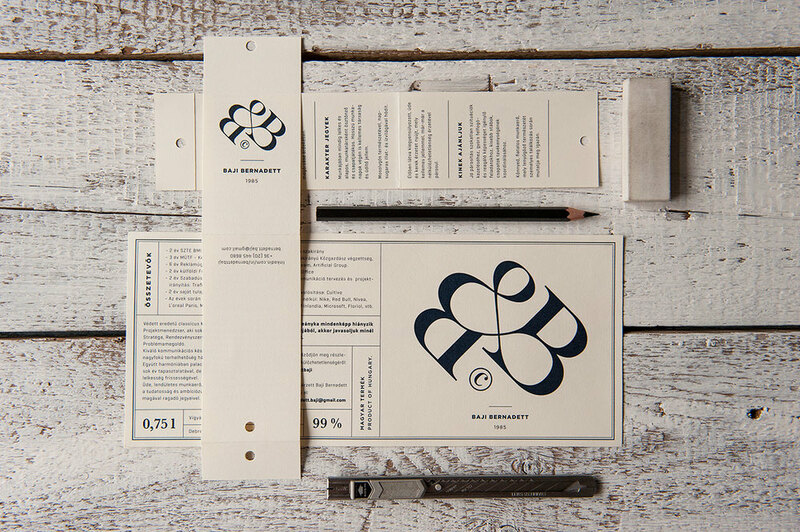 This design is an amazing and incredibly clever way to make your resume stand out amongst your competition. It shows creativity, passion and true volition towards the job and craft. 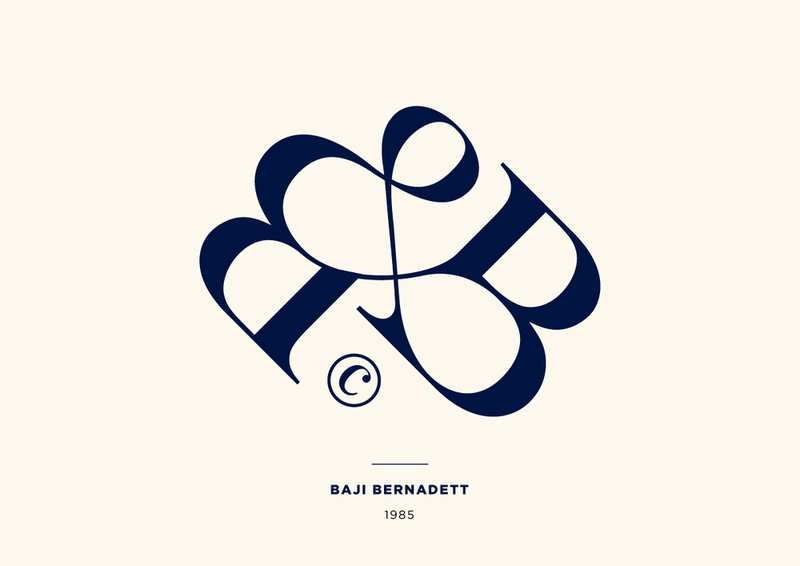 It comes as no surprise the design helped Baji land the position she coveted!